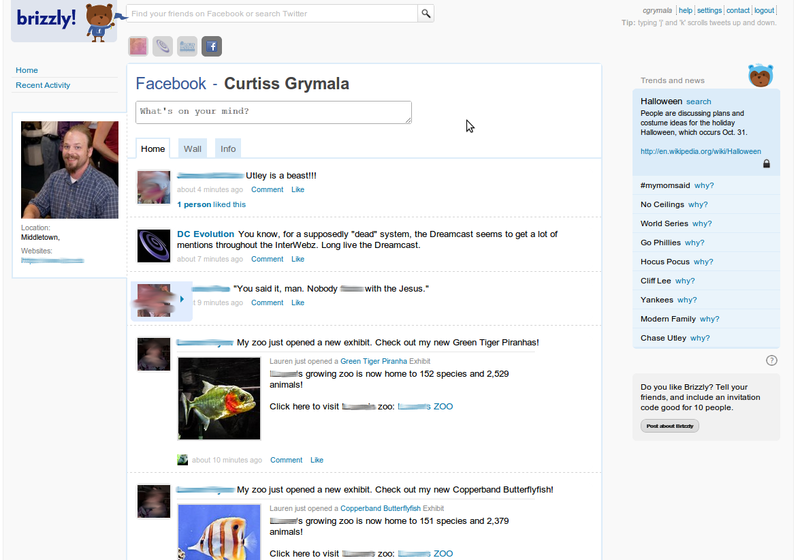 Brizzly, a really nice Web-based Twitter client, integrated Facebook into its interface today. Now, in addition to being able to manage multiple Twitter accounts (I currently have three), you can add your Facebook account to the application. 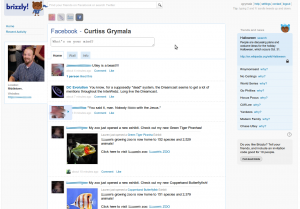 Within Brizzly, you can watch your news feed and your wall. What’s really nice, though, is that Brizzly also allows you to keep track of your recent activity on Facebook. I don’t know about you, but a lot of times, when I comment on someone’s wall post or status update on Facebook, by the time they see it and reply, it’s disappeared from my news feed so I have trouble finding it again. With Brizzly’s new interface, finding that conversation is just a click away. If you haven’t tried Brizzly yet, I do have a handful of invitations available for those that are interested. Just leave a comment here and I’ll send the invitation to the e-mail address you use with your comment.